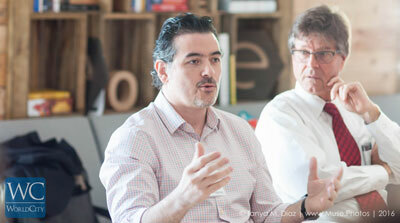 How to better collect, analyze and act on data: McCann's Carlos Gutierrez - WorldCity, Inc. In today’s digital age, companies must use data to measure and grow their businesses and also, disrupt them. 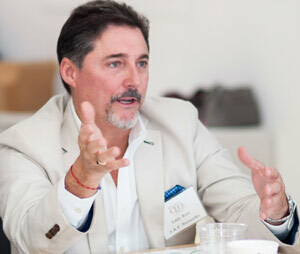 How to do that was the focus of WorldCity’s CEO Club on Feb. 3, 2017, led by Carlos E. Gutierrez, Miami CEO and Chief Growth Officer for Latin America at ad agency McCann Worldgroup. Gutierrez said everything digital can be grouped into three interconnected categories: Operations or business model disruption, data strategies and top-line growth acceleration. Consider these recent disruptions: Netflix, Amazon Prime, and Hulu in television and entertainment media. PayPal in banking. Uber in transportation. An IBM survey of 3,000 CEOs literally referred to such changes as the “Uberization of an industry.” A total 32 percent of CEOs responding called technology disruption the most important challenge they faced, with the number at 50 percent among CEOs in entertainment and media, according to the survey. “If you’re wondering what’s the latest Internet disruption innovation being talked about, it’s the convergence of the physical and data world,” said Gutierrez, pointing to the popular Pokémon Go game as one example. 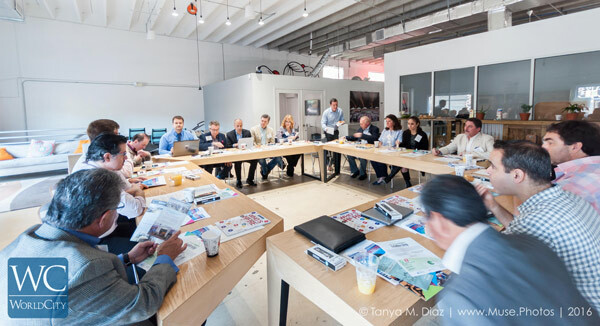 For many participants at the CEO Club, concerns about disruption were specific to their industries. Michael Costello, senior vice president and international general manager at Clorox, pays attention to disruption in manufacturing and logistics. Harvey W. Gurland Jr., managing partner in Miami at international law firm Duane Morris, is especially focused on innovation in cyber-security to protect confidentiality. Companies need not be reactive to disruption.They can encourage it for their own gain, said Paul Tessy, e-commerce CEO for Latin America and the Caribbean at delivery giant DHL. That’s especially true in public relations and media, where disruption is coming at a searing pace, said C.L. 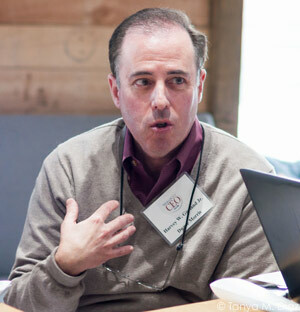 Conroy, president of communications firm Conroy Martinez Group. That helps explain why U.S. companies this year are projected to spend more on digital than TV ads for the first time ever, said Conroy. Amid the changes, it’s vital to collect, analyze and act on the right data to build your business, said Gutierrez. Should securing the data be part of the data strategy and included in its cost?, one participant asked. Gutierrez identified six areas key to data strategy that can speed sales or top-line growth: search, referrals, social media, website, mobile, and advertising/display. Search is the most important by far. Two-thirds of any purchase process starts with search, with 60-70 percent of those searches coming from Google and 20% from Bing, he said. Referrals are next most important. While the No. 1 reason why someone won’t buy something is price, the second reason tends to be bad reviews, said Gutierrez. “How do you manage the skew of negative reviews” when satisfied customers are less likely to leave good reviews?, asked Daniel Molina, business development director at internet security firm Kaspersky Lab. Some companies employ communications companies to respond to those reviews and handle social media. Indeed, Conroy said help with negative reviews was a top reason clients come to her business. Companies also can reach out to the site publisher to verify if a bad review came from an actual customer and not an internet troll. On social media, they also can add new content to push the bad review down the page from view of others, said Conroy. To build sales, it’s also vital to have a strong website and mobile presence, Gutierrez added. A website says who you are as a business. Without one, you don’t exist. Make the site look fresh and sharp on computers and on mobile devices. WorldCity will launch its 2017 Who’s Here multinational directory on Feb. 24. The next Global Connections is March 31 on Celebrating Women’s Leadership.